I'm relatively new to fly fishing and the only section of the South Branch I have fished is the Ken Lockwood Gorge. 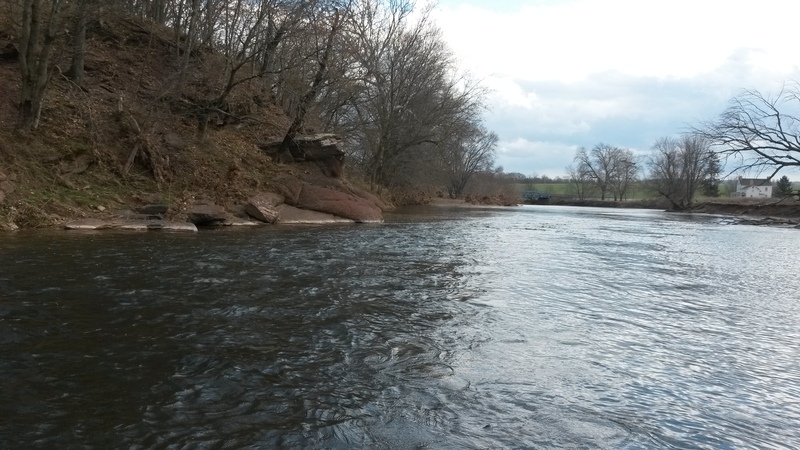 Would someone share with me other sections of the river that can be fished successfully during the winter months? 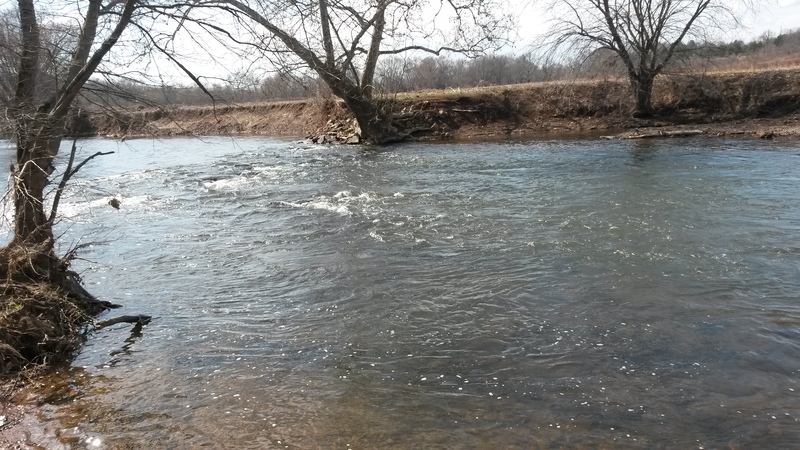 You can pretty much fish from the KLG upstream along River Road to Califon. There are some public pull off spots. At Califon, take Bank Street in Califon which runs along the ball fields and becomes Vernoy Road. There are plenty of spots there. Above the Vernoy Bridge there are posted areas although there are some public stretches up into Middle Valley. The stream is now maintained above Schooley's Mountain Road in Middle Valley as a wild trout stream with no stocking. If you want to go wild you can try the Clairmont section off Fairview Ave. There are some private clubs both above and below KLG up through Middle Valley but these should be well marked. They do enforce however so look for their signs. I appreciate the information. I will give some of these areas a try when the River settles down. Remember your 2019 fishing license. I saw three anglers at the gorge and each was displaying their 2018 license. I have no doubt they will soon get and display the current license. The water was high, moving fast and off color. I doubt they caught anything. Probably the only benefit of being 75 years old: no license required. I don't consider it a benefit. It's not only an insult, it's age discrimination. The access spots will be fairly obvious on this river. Those private landowners or clubs will have their properties well marked against trespassing. There is 20 miles or so above the KLG that holds trout, and some of those places fish better than the overly popular (IMO) KLG no-kill water. Exploring is half the fun! Look for deep water or pools, as trout hang out there more often in the winter than anywhere else. I fished that spot many years ago. Wow is it running higher! well...coming off the (or one of the) wettest years on record, and in winter, what do you expect ? 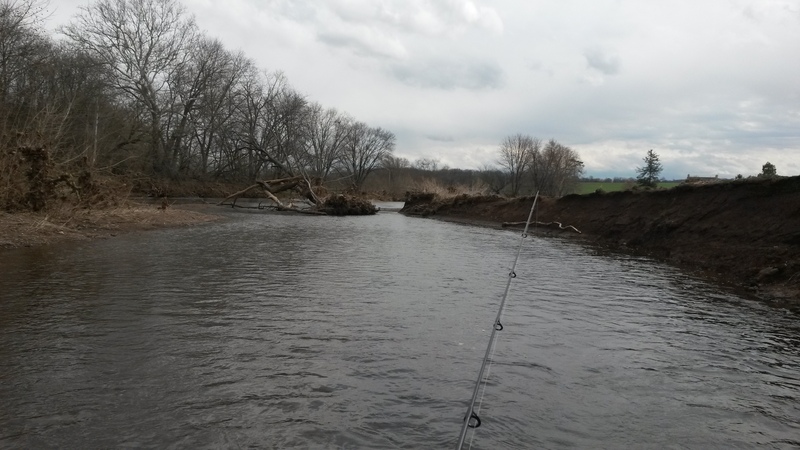 I took a trip to califon / long valley south branch today, two nice trout from deep pool but also had 3 fish swipe out of no-where in fast water. Didnt happen to stick or land any of the surprise hits. All rainbows. Also saw some funny looking orange fish swimming around that I couldnt entice. Probably just koi fish am i right? Lots of ppl fishing as I saw driving up the road. 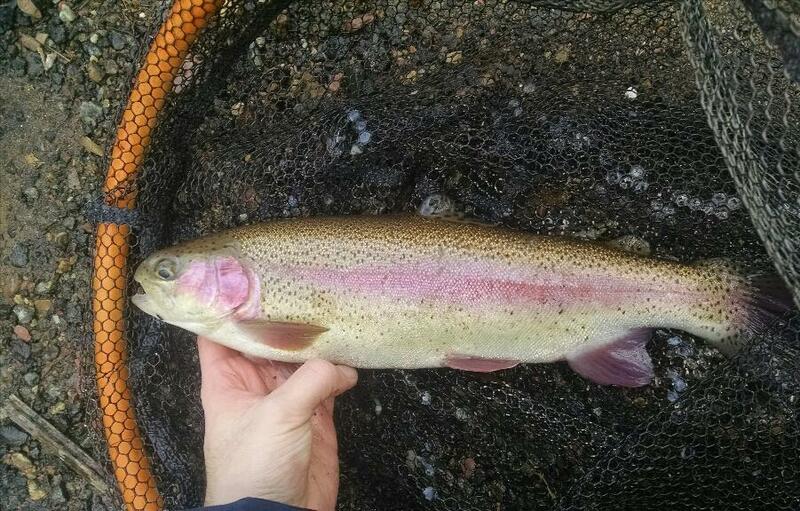 That fish was a Palomino aka; Golden Trout. If you look at Shannon's web site video on the Bubba stocking, you see that they are putting in a few. They don't breed. Finicky so I don't target them however fish right around them because there is usually a rainbow or brown hanging with them. I agree with negative comments on KLG. Beautiful scenery and stretch of river which you must fish but you run into some real doozies fishing it. Thanks for the info, but im aware that they're actually palominos. Im really surprised how poorly they stick out; like a bright orange leaf in the water until you notice it's moving against current. No wonder they're hard to find holdovers of, herons take em quick! I know they are finicky by nature, but I also wonder if they smarten up from every shithead throwing things at them all day or trying to snag them. Fish sunnyside area early autumn regularly. Nice stretch of water. I usually walk down the river a bit.